prev product $9.99 PROLOSO Gel Water Beads Rainbow Mix, (20,000/40,000 beads) for Sensory Toys, Watering Plants and Decor / next product $13.29 PROLOSO Gravity Electric Salt Pepper Grinder - Automatic Grinding, Anti-corrosion Ceramic Mechanism, Adjustable Grind Coarseness, Beautiful Brushed Stainless Steel, Best Gift Choice - 1pcs, 7.8"
Clothes length: 22", Waistline: 16.1", Sleeve length: 15.75"
and their ability to make sense of the real world. and give them an understanding of future career paths. 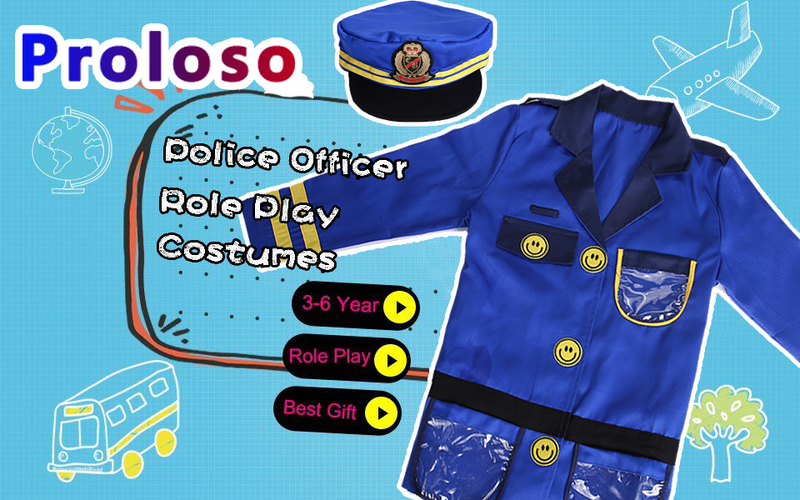 PROLOSO Police Officer costume is suitable for 3-6 year old children. This costume is made in a Polyester blend, so that is wrinkle resistant, smooth to touch, and always looks and feels good. For safety, it is flame retardant and mildew resistant. Handcuffs (The handcuffs have a small key to lock/ unlock). This is a very special gift and it will be greatly loved by your little Police Officer Boy/Girl. Help make your child’s dream of being just like a real Police Officer come true. 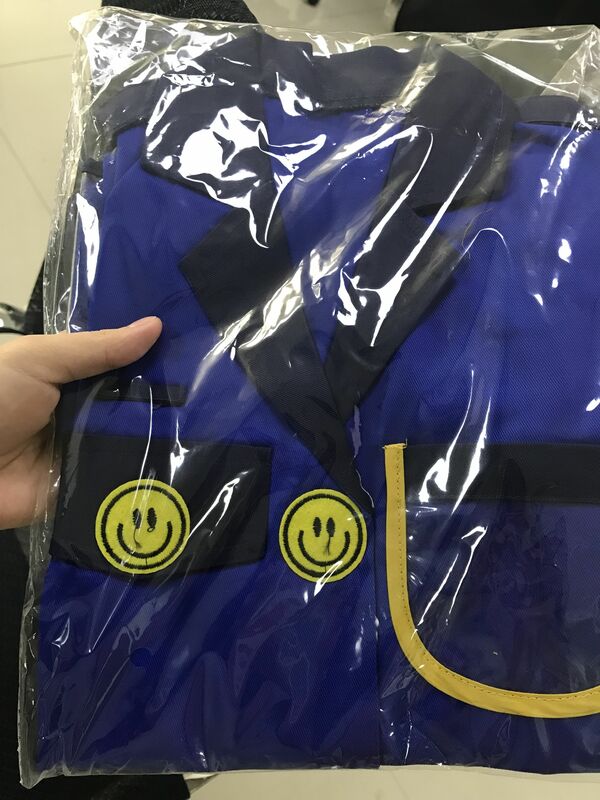 Your kid will have fun dressing like a little policeman. 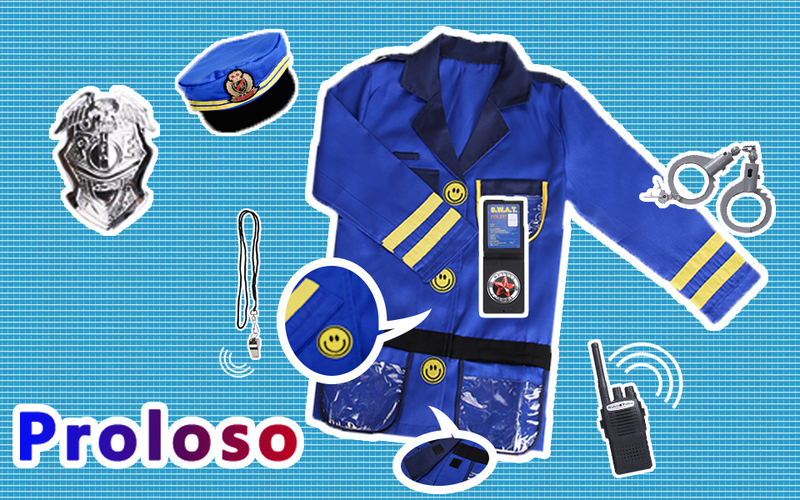 ❤️PROLOSO police officer customs are waiting for you! Welcome to our shop! Have a good time! костюм понравился качество хорошее. упакован хорошо. PRODUCT GÖRSELLERDE ANLATILDIĞI LIKE, EXCELLENT FABRIC AND MADE of GOOD QUALITY MATERIAL. I buy it for my grandson. He loves cosplay since he was 3 years old. Now he is 5 years old, when he put on the Police Officer Costumes , he feel like he is a police. Hope he enjoy it all the time. Good product!